This recap video of the previous night's game was a bit of a nail-biter. It was my first highlight video and I had over 10-hours of footage to wade through. Also, the deadline was end-of-day so that the video could be posted on the Warrior's social media channels. But like the Dubs, I prevailed. The idea of creating a video for this hackathon was conceived of after the event was over. So this meant, among other things, using footage shot by attendees that had a lot of technical limitations. The finished video was well-received and was promoted heavily by the organization on their social media sites and at their events. I was invited by the Anita Borg Institute to bid on producing the opening video for the 2016 Grace Hopper Conference. I won the bid after producing this mock up that got everyone from ABI very excited. So using this video as a blueprint, I lead a post-production team that included a motion designer, composer, colorist and audio engineer. We told the story of Grace Hopper, Anita Borg and the conference, using footage from the previous year's event, archive material, all wrapped in custom animations and an original score. This video showcases what the people and companies that use Intel chips presented during the 2012 Maker Faire. I customized an After Effects template to create the motion graphics, so the majority of the work was in the culling of hours of footage to find the most unique stories for the video. This is one of two videos I created for Global Pulse, a division of The United Nations, that helps developing countries capitalize on Big data. I had a lot of fun developing the graphic look of this project. For instance, I created an animated version of the static Global Pulse logo that was provided to me (appears at the very end of the video). During the 2016 NBA playoffs, a funny and very interesting photo of Steph Curry was lighting Twitter on fire. 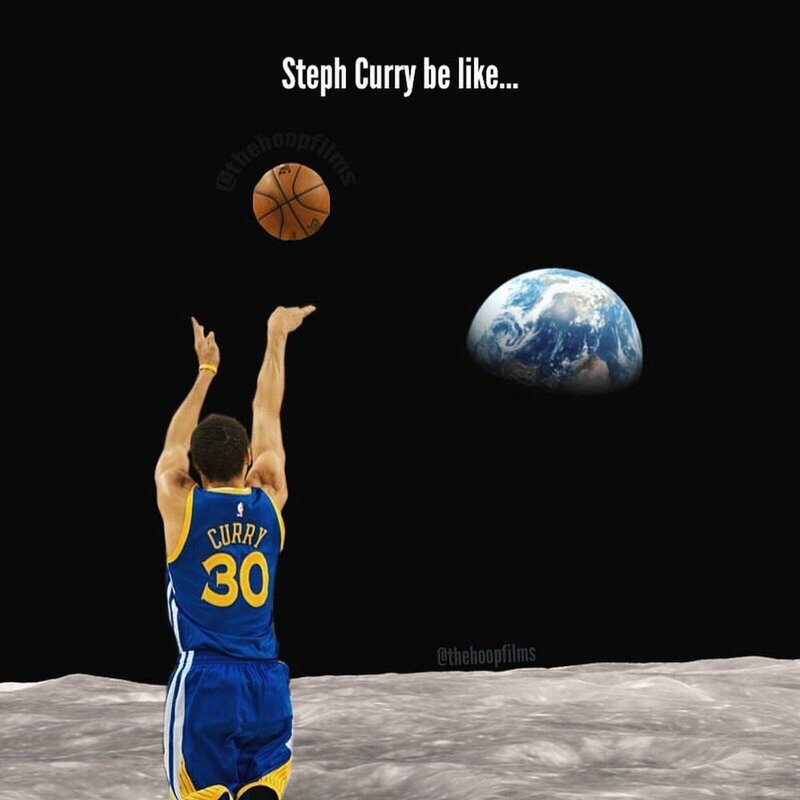 A Warriors fan photoshopped him making a deep 3 from the surface of the moon with the earth in the distance. I thought it was a cool concept and always wondered what that shot would look like if it was kinetic instead of just static. It took a while to find the right gameplay camera angles on YouTube and to cut out Steph frame by frame but I was pretty happy with the results. Communicating the depth and breadth of the CODE2040 summer internship program made this an intense project. There was a Speaker Series, workshops at Facebook, IDEO and the Stanford Design School, tech company site visits, a weekend hackathon and a huge wrap party at AOL. Whew. I get tired just remembering it all. I created a series of 9 training videos for this disruptive beauty supplies platform. As part of the process, I created an entire graphics package based solely off of their graphic logo. This included an animated open, lower-third, vertical-third and several full-screen backgrounds. The Urban Prototyping Festival was a gathering of tinkerers and thinkers, makers and (because there were live music acts) - booty-shakers. The concept behind the video was to show the progression of a team's ideas to reality. And at least a couple of the projects shown in this video have been implemented: The Pulse of the City (public heart monitors) and the PPPlanter (a combination of public urinal and bio-filtration unit). This video was shown inside of the Oracle Arena to galvanize Warriors fans. The unconventional intro sequence was a bit of a creative gamble but to my surprise and relief, everyone loved it. Every year, California Pacific Medical Center honors their long-term employees at a splashy banquet. For the past few years I have created an animation that is shown at this event. The animation, based on that year's creative theme, incorporates a list of employees that have been with CPMC for as little as 5 years and as long as (gulp) 45 years! This year, there was a superhero theme and I was given a static logo (The Reliables) and tasked with creating a story and look around it. Using the CPMC logo, I created a version of a bat signal, added some movement to The Reliables logo and included photos of some of the staff they honored. This video about Microsoft corporate partner Hortonworks is also a primer on Big data. When this video was released, the Big data trend was just taking off, so we knew the viewer needed to under the basics. This video helped them better understand what Hortonworks does and why they are so important to Microsoft as a partner. This promo for Portico TV, shows the breadth of shows that are offered on the platform. Draymond Green, of the Golden State Warriors, paid for a family that had been impacted by tragedy, to be flown to a 2015 - 2016 playoff game in a private jet. The project was epic, with footage that documented the family's journey from Oakland to Oklahoma City and back again. And while on one level, the video is essentially branded content, on a deeper level it strives for much more emotionally. So the story is more about a player's selfless, generosity and a family hoping this once in a lifetime gesture, will help them start to heal and move on. At this Mist of Pandaria launch party, Intel gave out several Ultrabooks as prizes. So the goal of the video was to not only show how excited the fans were to play the new World of Warcraft version but to do so potentially on a brand new Ultrabook. This behind-the-scenes teaser video was part of a solidarity campaign between the Golden State Warriors and The Oakland Raiders, during the Warriors historic 2014-2015 season. In the longer piece that this teaser is promoting, Raider fullback Marcel Reese, is shown on the eastern span of the Bay Bridge, voicing his strong support of the Dubs. So, while the moody black and white aesthetic was established in this longer piece, I came up with the idea of re-contextualizing the behind-the-scenes footage, so that it seemed like a heist film. Google created this cooperative card game to use as a college recruiting tool. It simulates the process of launching a product, highlighting all of technical and social considerations this entails. Using the static images of the card deck, I was tasked with animating them in a way that clearly explains how the game is played and how much fun you can have with it. Although the creative direction changed considerably after this version, I've always been proud of the flow of this video. In this internal corporate video, I was given a folder of films and EA games to pull from that demonstrate how much more awesome the active experience of gaming is compared to the passive experience of film viewing. Note: at :10 a guy pulls his spine out, so sensitive viewers be advised. This animation was shown at the annual California Pacific Medical Center fundraising gala. It preceded videos highlighting the innovative work of several of their dedicated physicians.